The Bixby surname originates in England. Although I am not aware of the meaning of the name Bixby, we have been able to trace the family back to the 14th Century, something not usually possible for the average family name. The Bixby (also spelled "Bekesby") family lived in the English county of Suffolk in and around the town of Thorpe Morieux. The earliest Bixby spelled his name "Bekesby." The following is an account of the Bixby's in England and America, starting with the 1st generation: John Bekesby. John Bekesby was born circa 1370 in Felsham, Suffolk, England. The name of his wife is unknown, but he is said to have died sometime after 1404 in Felsham, Suffolk, England. It is known that Walter Bixby was his son (see next generation) At right is the present St. Peter's Church in Felsham, Suffolk, England. 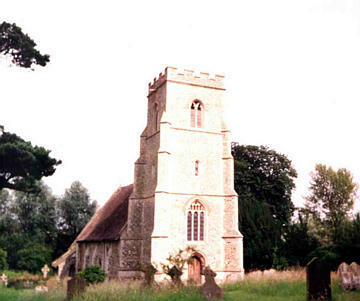 It was built in the medieval times and is the probable burial site of John Bekesby. Walter Bixby was born circa 1390 in Suffolk, England. He died in 1459 in Thorpe Morieux, Suffolk, England. He was married to Margery (maiden name unknown) circa 1410 in Suffolk. They had a son Nicholas (see next generation). Walter died in 1459 in Thorpe Morieux, Suffolk, England. His wife died after him. Walter married Margery circa 1410 in Suffolk, England. She died after 1459. Nicholas Bixby was born circa 1415 in Suffolk, England. The name of his wife, or his death isn't known. He had at least one son, Thomas (see next generation). Thomas Bixby was born circa 1450 in Thorpe Morieux, Suffolk, England. He died after January 23, 1509 in Suffolk, England. His first wife's name was Margaret. His second wife's name isn't known, by her he had a son, John (see next generation). Thomas died after January 23, 1509 in Suffolk, England. John Bixby was born circa 1475 in Thorpe Morieux, Suffolk, England. He died before February 14, 1555/6 at Thorpe Morieux, Suffolk, England. He was married to Alice (maiden name unknown) in about 1499, by whom he had 6 children, Thomas (see next generation), John, William, Robert, Nicholas and Margaret. John was buried on February 14, 1556 in Thorpe Morieux, Suffolk, England. His wife died in 1558. The picture at right is of St. Mary's Church, Thorpe Morieux, Suffolk, England. This church was built in the medieval times, so this is the place where the early Bixby's were baptized, married and buried. Alice circa 1599. She died in 1558. 2 Robert Bixby was born circa 1507 in England. 3 John Bixby was born circa 1510 in England. 4 Nicholas Bixby was born circa 1514 in England. 5 William Bixby was born circa 1516 in England. 6 Margaret Bixby was born circa 1520 in England. Thomas Bixby was born circa 1500 in Thorpe Morieux, Suffolk, England. He died before October 13, 1586 in Thorpe Morieux, Suffolk, England. Thomas was married to Margaret Munnings on November 28, 1538 in Thorpe Morieux. They had at least one son, Richard (see next generation). Thomas died before October 13, 1586 in Thorpe Morieux, and his wife died in 1608. Thomas married Margaret Munnings on November 24, 1538 in Thorpe Morieux, Suffolk, England. She was born circa 1520. She died before March 4, 1607/8 in Thorpe Morieux, Suffolk, England. 1 NNicholas Bixby was born in December 1539. 2 John Bixby was born circa 1542. 3 Richard Bixby was born circa 1544. 4 Edmund Bixby was born in January 1547/8. 5 Judith Bixby was born circa 1551. 6 Margaret Bixby was born circa 1554. 7 Margery Bixby was born circa 1556. 8 Rose Bixby was born circa 1559. 10 Ursula Bixby was born in November 1564. Richard Bixby was baptized on May 29, 1562 in Thorpe Morieux, England. He died after 1606. He was married to Isabel Nunn on July 7, 1589 in Rattlesden, Suffolk, England, by whom he had 6 children: William, Susan, Edmund, George (see next generation), Thomas and Henry. Richard died after 1606, and his wife Isabel died in 1653. Richard married Isabel Nunn on July 7, 1589 in Rattlesden, Suffolk, England. She was born before January 25, 1567/8 in Rattlesden, Suffolk, England. She died before September 30, 1653 in Little Wadlington, Suffolk, England. 1 William Bixby was born circa 1589. 2 Susan Bixby was born before February 2, 1589/90. 3 Edmund Bixby was born before October 29, 1592. 5 Thomas Bixby was born circa 1598. 6 Henry Bixby was born circa 1600-1606. George Bixby was baptized on December 17, 1594 in Rattlesden, Suffolk, England. He died before December 10, 1666 in Little Wadlingfield, Suffolk, England. He was married to Anna Cole on October 16, 1617 in Little Wadlingfield, Suffolk, England. They had 6 children: Mary, Sarah, Joseph (see next generation), Hannah, Daniel, and Lydia. 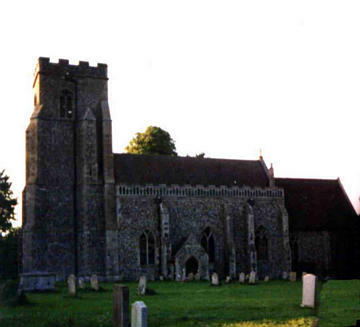 George's wife died in 1627, and he died before December 10, 1666 in Little Wadlingfield, Suffolk, England. George married Anne Cole on October 16, 1617 in Little Wadlingfield, Suffolk, England. She was born before April 30, 1598 in Brent Eleigh, Suffolk, England. She died before April 4, 1627 in Little Wadlingfield, Suffolk, England. 1 Mary Bixby was born on July 26, 1617. 2 Sarah Bixby was born on September 12, 1619. 4 Hannah Bixby was born on September 28, 1623. 5 Daniel Bixby was born on July 24, 1625. 6 Lydia Bixby was born on April 8, 1627. Joseph Bixby was baptized on October 28, 1621 in Little Wadlingfield, Suffolk, England 1. He died on April 19, 1701 in Boxford, Essex Co., Massachusetts 1. Tradition indicates that at the age of 15 (which would have been in 1636 or 1637), Joseph became an indentured servant to pay for his passage to New England. Whether or not that is true, he had left England by 1638. Over the next 10 years in New England, his exact whereabouts are unknown. If the story holds true, he probably spent time fulfilling his indentured servitude. Joseph eventually settled in Ipswich, Massachusetts, where he married the widow Sarah Heard in 1647. Immediately after they signed the marriage bond, Joseph was listed as having left the jurisdiction of Ipswich, leaving no indication of when he would return. He may have traveled to England to secure property his new wife was to inherit. He had returned to Ipswich by 1648. Joseph was by occupation a carpenter, and lived in Ipswich with his family for many years. In 1658, he is on a list in Ipswich as not being a freeman, which is unusual considering his age at the time (about 37). This may have been because he was not a member of the church at Ipswich. After this, Joseph entered the church in the neighboring town of Topsfield, and became a freeman in Ipswich in 1664. Joseph owned farm land in Ipswich and became interested in the forming of Rowley Village west of Ipswich. Joseph was deeded land there in 1661 and apparently moved there immediately afterwards. The place where he and his family settled called Rowley Village became the town of Boxford in 1686. As early as 1666, Joseph was chosen as a sergeant of the "soldiery" in Topsfield. Joseph owned land in Boxford and the neighboring town of Topsfield. In his old age it appears that his son George was running the household. Joseph married Sarah Riddlesdale on or soon after December 15, 1647 in Ipswich, Essex Co., Massachusetts 1. She was baptized on November 16, 1623 in Assington, Suffolk, England. She died on June 3, 1703 in Boxford, Essex Co., Massachusetts 1. Sarah's father died in her youth, and her mother remarried to John Wyatt, who was generally referred to as her father. 1 Joseph Bixby was born circa 1648 in Ipswich, Essex Co., Massachusetts 1. He died in 1725 in Boxford, Essex Co., Massachusetts 1. 3 Benjamin Bixby was born circa 1653 in Ipswich, Essex Co., Massachusetts 1. He died in 1727 in Topsfield, Essex Co., Massachusetts 1. Dan Bellerose at dmbellerose@comcast.net is a researcher/descendant of this line. Cheri Mitchell at mitchellws@cox.net is also a descendant of this line. She is researching all descendants of Joseph Bixby (1621-1701). 4 Sarah Bixby died on January 18, 1656/7 probably in Ipswich, Essex Co., Massachusetts 1. 5 Nathaniel Bixby died on July 11, 1658 probably in Ipswich, Essex Co., Massachusetts 1. 6 Mary Bixby was born on February 18, 1658/9 probably in Ipswich, Essex Co., Massachusetts 1. She died after 1699 1. She married Thomas Stone in 1677 in Ipswich, Essex Co., Massachusetts. 7 George Bixby was born circa 1660-1665 probably in Rowley Village (now Boxford), Essex Co., Massachusetts 1. He died circa 1729 1. He married Rebecca Porter in 1685 in Ipswich, Essex Co., Massachusetts. 8 Jonathan Bixby was born circa 1666 probably in Rowley Village (now Boxford), Essex Co., Massachusetts 1. He died on May 30, 1717 in Boxford, Essex Co., Massachusetts 1. 9 Abigail Bixby was born circa 1668 probably in Rowley Village (now Boxford), Essex Co., Massachusetts. She died on November 7, 1758 in Topsfield, Essex Co., Massachusetts 1. She filed intentions to wed William Bennett on April 20, 1720 1, yet it is not clear if they ever married. Daniel Bixby was born circa 1651 in Ipswich, Essex Co., Massachusetts 1. He died on May 7, 1717 in Andover, Essex Co., Massachusetts 1,2. Daniel spent the first part of his youth with his family in Ipswich. In about 1661, at about age 10, he moved with his family a short distance away to what is now Boxford, Massachusetts. Sometime before his marriage and upon entering adulthood, or in the early 1670's, Daniel moved to Andover, Massachusetts, where he married Hannah Chandler in 1674, daughter of a prominent Andover citizen. Daniel was by occupation a carpenter and husbandman (farmer). In 1688, Daniel was given 88 acres by his father-in-law, Lt. Thomas Chandler. During the infamous witchcraft hysteria of 1692, Daniel's wife Hannah was said to be afflicted. Daniel wrote his will on April 12, 1715, and it was proven on July 5, 1717, 3 months after his death. Daniel married Hannah Chandler on December 2, 1674 in Andover, Essex Co., Massachusetts 1,2. She was born on May 28, 1659 in Andover, Essex Co., Massachusetts. She died on November 20, 1730 in Andover, Essex Co., Massachusetts 1,2. 1 Daniel Bixby was born on September 18, 1675 in Andover, Essex Co., Massachusetts 2. He probably died before 1717, unmarried and childless. 2 Hannah Bixby was born on December 13, 1679 in Andover, Essex Co., Massachusetts 1,2. She died on May 4, 1724 in Andover, Essex Co., Massachusetts 1. 3 Thomas Bixby was born on December 18, 1681 in Andover, Essex Co., Massachusetts 1,2. He died on December 5, 1754 in Chelmsford, Middlesex Co., Massachusetts 1. 4 Sarah Bixby was born on January 19, 1682/3 in Andover, Essex Co., Massachusetts 1,2. She died on July 17, 1712 in Andover, Essex Co., Massachusetts 1. 5 Jonathan Bixby was born circa 1685 in Massachusetts 1. He died on November 2, 1714 in Newton, Middlesex Co., Massachusetts 1. He married Rachel Hobart on April 16, 1709 in Watertown, Middlesex Co., Massachusetts 1. 6 David Bixby was born on February 15 1 or 16 2, 1687/8 in Andover, Essex Co., Massachusetts. He died in 1767 in Westford, Middlesex Co., Massachusetts 1. 8 Mary Bixby was born on April 10 1,2 or 12 1, 1693 in Andover, Essex Co., Massachusetts. She died after 1734 in Windham Co., Connecticut. 9 Joseph Bixby was born on March 5, 1695/6 in Andover, Essex Co., Massachusetts 1,2. He died on August 26, 1761 in Andover, Essex Co., Massachusetts 1. Mephibosheth Bixby was born on April 3, 1690 in Andover, Essex Co., Massachusetts 1,2. He died on March 20, 1767 in Winchendon, Worcester Co., Massachusetts 1,28. Mephibosheth spent the entirety of his youth in Andover, Massachusetts. In 1713, in Cambridge, Mass., he married Mary Emmons from that town. He and his wife settled in Andover. In 1717, he sold 20 acres of land that his father had given him. Mephibosheth moved from Andover to Woburn, Massachusetts in April 1724. They stayed there for about 8 years and in April 1732, he purchased 30 acres of land in Shrewsbury, Massachusetts. He probably moved there with his family at that time. He purchased more land in Shrewsbury in 1741. In 1742, he gave the original land he purchased in 1732 to his son Nathaniel. He sold land to his son-in-law Joseph French in 1746 and with his family wife sold more land in 1750. In about 1761 or earlier, Mephibosheth moved with his son Daniel to Winchendon, Massachusetts, where he remained. Mephibosheth worked as a cordwainer (shoemaker). Over the years Mephibosheth's odd name was obviously as a source of confusion, different contemporary spellings include: Phebe, Phib, Mephib, Mephebesh, Febhesheth, Mepheb, Meb, and Mesebuth. Administration of his estate was granted to his son Daniel on May 11, 1768. Mephibosheth was married to Mary Emmons on May 28, 1713 in Cambridge, Middlesex Co., Massachusetts 1,2. She was born on November 26, 1683 1. She died after 1750 1 in Shrewsbury or Winchendon, Worcester Co., Massachusetts. 1 Daniel Bixby was born on December 31, 1713 in Andover, Essex Co., Massachusetts 1,2. He died after 1767, probably in Winchendon, Worcester Co., Massachusetts. Daniel settled in Shrewsbury, Massachusetts as early as 1736. He remained there until probably 1761, when he moved to Ipswich-Canada (Winchendon), Massachusetts. 2 Mary Bixby was baptized on February 13, 1714/5 in Andover, Essex Co., Massachusetts 1,2. She died after 1753, probably in Holden, Worcester Co., Massachusetts. Shortly after their marriage, Mary's father deeded two tracts of land to her husband Joseph French. They moved to Holden, Massachusetts (sometime between 1746-1748), where they remained. 4 David Bixby was born on March 31, 1718 in Andover, Essex Co., Massachusetts 1,2. He died on April 23, 1718 in Andover, Essex Co., Massachusetts 1. 5 Jonathan Bixby was born on March 31, 1718 in Andover, Essex Co., Massachusetts 1,2. He died on April 17, 1718 in Andover, Essex Co., Massachusetts 1. 6 Nathaniel Bixby was born on March 24, 1718/9 in Andover, Essex Co., Massachusetts 1,2. He died on October 2, 1777 in Lancaster, Worcester Co., Massachusetts 1. Nathaniel moved with his family to Shrewsbury as a youth, where he first purchased land in 1739. He remained there until probably the mid 1760's, when he followed his father and oldest brother to Winchendon, Massachusetts. 7 Martha Bixby was born on March 2, 1721/2 in Andover, Essex Co., Massachusetts 1,2. She died on July 23, 1781 in Boylston, Worcester Co., Massachusetts 1. Martha and her husband moved to Holden, Massachusetts soon after their marriage. The Martha Ball who died in 1785 in Boylston may have not been her. Samuel Bixby was born on August 31, 1716 in Andover, Essex Co., Massachusetts 1,2. He died on March 12, 1800 in Boylston, Worcester Co., Massachusetts 1,3. He is buried in the Old Burial Ground, Boylston, Worcester County, Massachusetts. Samuel spent the first part of his youth in Andover, Massachusetts. In 1724, 7-year old Samuel moved with his family to Woburn, Massachusetts where they remained for 8 years. In 1732, when Samuel was 15-years old, he and his family moved to Shrewsbury, Massachusetts. Over the next 5 years, the details of his life are unknown. He may have been sent back east to Woburn for an apprenticeship or to visit or live with relatives. In 1737 in Woburn, he married a young woman from that town and they apparently left Woburn immediately afterwards. They first moved to Shrewsbury, Massachusetts, but did not remain there. In December 1739, Samuel had recently moved with his family to Chelmsford, Massachusetts from Shrewsbury. Then in 1740, he was apparently a resident of Westford, Massachusetts and was sued for failing to pay a debt. He was jailed for this in Worcester, Massachusetts in 1741. Soon after, they returned to Shrewsbury (no later than 1745) where they remained. Samuel spent the rest of his life in the area of Shrewsbury, Massachusetts. He apparently owned land and lived at various times in both Shrewsbury (now Boylston) and the neighboring town of Lancaster (now Sterling). Samuel was by occupation a cordwainer (shoemaker), like his father before him. In 1757, while living in Shrewsbury, Samuel served as a member of the train band of Capt. Jabez Beamen (French and Indian War). Samuel's wife died in 1773 and he remarried five months later to the widow Sarah Beaman (she was probably related to the Ezra Beman who he had land dealings with). Samuel married first Mary Buck in November 1737 in Woburn, Middlesex Co., Massachusetts 1. She was born on October 2, 1712 in Woburn, Middlesex Co., Massachusetts 1,32. She died on May 1, 1773 in Boylston, Worcester Co., Massachusetts 24. She is buried in the Old Burial Ground, Boylston, Worcester Co., Massachusetts. 1 Samuel Bixby was born before December 11, 1739 in Massachusetts 1. He died in 1820 in Bainbridge, Chenango Co., New York 1,26. He is buried in the Bixby Cemetery, Bainbridge, Chenango Co., New York. 2 Joseph Bixby was born circa 1741 in Massachusetts 1. He died after 1810 in Rindge, Cheshire Co., New Hampshire 1. He married second Elizabeth Hadley on March 16, 1784 in Sterling, Worcester Co., Massachusetts 1,4. 3 Mary Bixby was born circa 1743 in Massachusetts. She died circa 1767-1769 in Warwick, Franklin Co., Massachusetts. She married Jedediah Woods on January 21, 1765 in Lancaster, Worcester Co., Massachusetts 25. 5 John Bixby was born on March 5, 1746/7 in Lancaster, Worcester Co., Massachusetts 1. He died not long before July 26, 1820 in West Boylston, Worcester Co., Massachusetts. 6 Ephraim Bixby was born on April 11, 1754 in Lancaster, Worcester Co., Massachusetts 1. He died in 1817 in Guilford, Windham Co., Vermont 1. 7 Martha Bixby was born on April 11, 1754 in Lancaster, Worcester Co., Massachusetts 1. She died on October 26, 1785 in Littleton, Grafton Co., New Hampshire 1. Samuel married second Sarah, widow of a Mr. Beaman, after October 26, 1773 in Shrewsbury, Worcester Co., Massachusetts 4. She was born circa 1712. She died on January 21, 1800 in Boylston, Worcester Co., Massachusetts 1,3. She is buried in the Old Burial Ground, Boylston, Worcester Co., Massachusetts. Manassah Bixby was baptized on March 3, 1744/5 in Shrewsbury (now Boylston), Worcester Co., Massachusetts 35. He died on December 19, 1828 in Guilford, Windham Co., Vermont 1,33,35. He is buried in the Blanchard (Old North) Cemetery, Guilford, Windham County, Vermont. Although Manassah was baptized in Shrewsbury, he may have been born in the neighboring town of Lancaster, in the part of which that later became Sterling. Manassah spent all of his childhood and formative years in Lancaster and Shrewsbury (Sterling and Boylston). As a young adult, Manassah became apprenticed to Ezra Beaman, probably a neighbor and also probably a relative of his future stepmother. As an apprentice living in Shrewsbury, Manassah had service in the French and Indian War. He enlisted on April 5, 1762, aged probably 17, and served until November 19, 1762, in the army "raised to reduce Canada." Manassah afterwards returned to his hometown and began a relationship with a young woman from Lancaster named Elizabeth Dunsmore. They were eventually married in November 1765 in Lancaster, just 2 months before the birth of their second child together. They remained in Lancaster or Shrewsbury for only a few years (their first three children are supposed to have been born in Lancaster, yet he was listed as "of Shrewsbury" in 1766). In April 1766, Manassah purchased 40 acres in the town of Templeton, Massachusetts. They may have moved there at that time, or at least by July 1768. In late 1768 or early 1769, Manassah and his family moved to the remote town of Guilford, in what is now Windham County, Vermont. Some descendants have also claimed that Manassah moved to Guilford from Rehoboth, Massachusetts, yet that is unlikely and is not corroborated by any contemporary evidence. Manassah was one of the earliest settlers of the town of Guilford and he and his family were influential citizens. They appeared on a census there in 1772. They settled on a farm, which in 1884 was owned by a man named Paul Morris and was on "Road 8." Manassah was said to have been one of the original ministers for the town of Guilford (probably in the Congregational Church). He also served as Constable for Guilford in the year 1774. In 1777, Manassah had one month service in the Revolutionary War in Captain David Stowell's Company in Colonel William William's Regiment. Manassah was chosen as surveyor of highways in 1777 and again 1782, when he was also a petit juror. He was a surveyor again in 1789 and fence viewer in 1790. Manassah and Elizabeth raised a family of twelve children, yet it appears that two of these children died in infancy or childhood. Sadly in 1791, Manassah's wife Elizabeth died, which left him with five young unmarried children. In 1792 in Winchendon, Massachusetts, Manassah married a second time to Hannah Hayward. (How they met or why they were married in Massachusetts is unknown. Perhaps she was somebody he knew before moving to Vermont. Hannah was most likely the sister of David Heywood, who was married to Manassah's cousin Abigail Bixby.) There were no children born to this second marriage. In 1791 and again in 1817, Manassah deeded some land to his youngest son Amasa. It appears though that his son Thaddeus retained use of most of the original farm. Manassah married Elizabeth Dunsmore on November 12, 1765 in Lancaster, Worcester Co., Massachusetts 1,5,33,35. 1 Manassah Bixby was born on January 22, 1765 in Lancaster, Worcester Co., Massachusetts 1,33. He died on June 26, 1841 in Townshend, Windham Co., Vermont 1. Manassah and his wife first settled in Guilford, Vermont; where they began raising a family. Then sometime between 1816 and 1819, Manassah moved with his family to Townshend, Vermont; where they remained. 2 Joseph Bixby was born on January 4, 1766 in Lancaster, Worcester Co., Massachusetts 1,33. He probably died young. It is assumed that Joseph did prior to 1772, when the census of that year in Guilford, Vermont only included two children in their parents' household. However, we know that three children (Manassah, Betsey and Olive) were definitely alive, so that record cannot be relied on. Joseph did though likely die when quite young, as there is no evidence that he survived to adulthood. 3 Betsey Bixby was born on April 22, 1767 in Lancaster, Worcester Co., Massachusetts 1,33,51. She was baptized on July 31, 1768 in Templeton, Worcester Co., Massachusetts 27. She died on August 17, 1849 in Deerfield, Oneida Co., New York 52. She is buried in the North Gage Cemetery, Deerfield, Oneida Co., New York. She married Edward Salisbury in August 1786 in Guilford, Windham Co., Vermont 51. He was born on December 19, 1763 51 and died on March 3, 1836 51,52 in Deerfield, Oneida Co., New York. He is buried in the North Gage Cemetery, Deerfield, Oneida Co., New York. It had previously been assumed that Betsey died before 1772, when the census of that year only recorded two children in the household (and siblings Manassah and Olive were definitely alive). Yet that census record must have been an error. Betsey did not die young and instead continued living in Guilford until her marriage in 1786. Several of her children (Lucy, Amasa and Thaddeus) have names that directly tie her to her birth family and her birth date also matches exactly with her birth family. In addition, in her 1847 widow's pension application, her siblings were specifically named as Polly Bixby Wellman, Persis Bixby Briggs, Amasa Bixby and Thaddeus Bixby. Elsewhere, Manassah Bixby and Hannah Bixby (her sister-in-law) are also named in the application. After marriage, Betsey and Edward settled in Guilford, Vermont; where most of their children were born. Then sometime between 1804 and 1808, they moved out west to New York, where they briefly lived in Herkimer County. Then by 1810, they moved to Deerfield, Oneida County, New York; where they remained. 4 Olive Bixby was born on April 2, 1769 in Guilford, Windham Co., Vermont 1,33. She died sometime between 1800 and 1803 in Guilford, Windham Co., Vermont. 5 Mary "Molly" or "Polly" Bixby was born on August 30, 1772 in Guilford, Windham Co., Vermont 1,33. She probably died on May 1, 1855 in Freedom, Washtenaw Co., Michigan *. She is probably buried in the Oak Grove Cemetery, Chelsea, Washtenaw Co., Michigan. She married Reuben Wellman circa 1790 in Vermont. He was born on April 13, 1770 in Mansfield, Bristol Co., Massachusetts and died on May 15, 1855 in Freedom, Washtenaw Co. Michigan. He is buried in the Oak Grove Cemetery, Chelsea, Washtenaw Co., Michigan. It had previously been assumed that the Molly Bixby born in 1772 died young. This was supported by the fact that surviving Bixby family histories do not have record of her marriage or later life and also by the 1790 census which only records 4 females in the household [others had to have been her mother Elizabeth and sisters Lucy, Persis and Annis]. However, she did not die young and instead was the same person as Mary "Polly" Bixby who married Reuben Wellman (probably in or before 1790) and lived near Guilford, Vermont. After marriage, the family apparently lived at various times in Guilford, Jamaica and Georgia, in Windham County, Vermont. Three of her children - Amasa, Annis and Manassah - have names that directly tie her to her birth family. Furthermore, another bit of evidence that suggests that Polly Bixby Wellman survived into the 1850s is the 1847 Revolutionary War widow's pension application of her sister Betsey Salisbury which specifically named her sister as "Polly Wellman of Freedom, Michigan". This strongly suggests that Polly was living in Freedom, Michigan in 1847. However, the record also names brothers Manassah Bixby (who had died in 1841) and Amasa Bixby (who had died in 1845). Either way, Polly most definitely did not die in Vermont in 1809, and did in fact move with her family to Michigan. 6 Lucy Bixby was born on May 6, 1775 in Guilford, Windham Co., Vermont 1,33. She died on July 16, 1799 in Guilford, Windham Co., Vermont 1,33. She is buried in the Blanchard (Old North) Cemetery, Guilford, Windham Co., Vermont. 7 Oliver Bixby was born on April 15, 1778 in Guilford, Windham Co., Vermont 1,33. He died in 1802 1,33, probably in Guilford or Brattleboro, Vermont. 9 Persis Bixby was born on June or July 9, 1783 in Guilford, Windham Co., Vermont 1,33. She died on August 14, 1857 in Plymouth, Windsor Co., Vermont 29. She is buried in the Five Corners Cemetery, Plymouth, Windsor Co., Vermont. They are supposed to have had three children, but any details are unknown. They had no children, although she would have helped to raised Noah's ten children by his previous marriage to Persis' cousin Phebe Bixby. The Bixby genealogy lists three children by Persis' second marriage: Caroline, Chloe and Ira Briggs. Census records do not support that, unless the 3 all died as children. Perhaps, Caroline, Chloe and Ira were the children of Persis by her first husband David Heywood. 10 Amelia Bixby was born on November 1, 1785 in Guilford, Windham Co., Vermont 1,33. She probably died young in Guilford, Windham Co., Vermont. Amelia had most likely died prior to 1790, when she does not appear to be enumerated with her family in the census of that year. 11 Annis Bixby was born on May 19, 1788 in Guilford, Windham Co., Vermont 1,33. She died on May 26, 1810 in Guilford, Windham Co., Vermont 1. She is buried in the Guilford Center Cemetery, Guilford, Windham Co., Vermont. He was probably the John Lynde who settled in Robertson County, Texas and married at least three times, leaving children including Thomas, Martha, William and John. 12 Amasa Bixby was born in 1790 in Guilford, Windham Co., Vermont 1. He died on August 25, 1845 in North Adams, Berkshire Co., Massachusetts 1. He married second Hannah Heywood on May 31, 1792 in Winchendon, Worcester Co., Massachusetts 1,28. She was born circa 1749 1,33. She died on November 22, 1827 in Guilford, Windham Co., Vermont 1,33. She is buried in the Blanchard (Old North) Cemetery, Guilford, Windham Co., Vermont. They had no children. Hannah was probably the Hannah Heywood, born January 4, 1748 in Rutland, Mass., to Charles Heywood and Abigail Hubbard. This Hannah was the sister of David Heywood Sr. who married Abigail Bixby (Manassah's first cousin). David and Abigail's son David Heywood Jr. eventually married Manassah's daughter Persis Bixby. Thaddeus Bixby was born on November 15, 1780 in Guilford, Windham County, Vermont 1,33. He died on June 26, 1850 in Guilford, Windham Co., Vermont 1,33,39. He is buried in the Blanchard (Old North) Cemetery, Guilford, Windham County, Vermont. Thaddeus apparently spent his entire life in the town of Guilford, Vermont. His family members were among the town's earliest residents and after his father died in 1828, Thaddeus probably took over his farm (described above). On December 6, 1802 in Guilford, Vermont, Thaddeus married Hannah Warwick, a young woman from nearby Warwick, Massachusetts. They had eleven children. Aside from being a farmer, it seems that Thaddeus was also a miller of some sort. He owned a distillery in 1820 and a sawmill in 1832. In 1825, Thaddeus "bought" a poor person Mrs. Littlefield for $36 to serve him for one year if she lived that long. In early 1850, Thaddeus deeded land to his son Samuel. Thaddeus and his family probably lived on a farm that is currently in a rural part of the town of Guilford, west of the village of Guilford on Bonnyvale Road. Thaddeus married Hannah Worrick on December 6, 1802 in Guilford, Windham Co., Vermont 1,33. 1 Oliver Bixby was born on April 21, 1803 in Guilford, Windham Co., Vermont 1. He died sometime between 1830-1848. In the 1830 census, Oliver was living with his family in Guilford, Vermont. The 1830 census suggests that they had 3 small children (one girl and two boys), yet none of them were living in Margaret in 1850. They have not been located in the 1840 census, and may have moved away from the area. Margaret remarried Jonathan Austin in 1848. 2 Erastus Bixby was born on January 27, 1805 in Guilford, Windham Co., Vermont 1. He died sometime between 1840-1850. They were living in Guilford, Vermont in 1840. He may have been the Erastus Bixby who died on September 17, 1843 (aged 38 years) and was buried in the Bryant Cemetery in Macedon, Wayne County, New York. If that is true, then Erastus (and probably his family) moved out west sometime between 1840 and 1843. Although there is no confirmation of this, it does seem plausible especially considering other family members also moved west during the same time period. After Erastus' death, Gratia returned to Vermont and married Erasmus D May. 3 Emerline Bixby was born on November 23, 1806 in Guilford, Windham Co., Vermont 1. She died on April 23, 1850 in Guilford, Windham Co., Vermont 1. She is buried in the Blanchard (Old North) Cemetery, Guilford, Windham Co., Vermont. 4 Edwin Bixby was born on October 9, 1808 in Guilford, Windham Co., Vermont 1. He died on June 29, 1811 in Guilford, Windham Co., Vermont 1. He is buried in the Blanchard (Old North) Cemetery, Guilford, Windham Co., Vermont. 5 Annis Bixby was born on October 6, 1810 in Guilford, Windham Co., Vermont 1,30. She died on April 5, 1833 in Sturbridge, Worcester Co., Massachusetts 30,31. She is buried in the New Sturbridge Cemetery, Sturbridge, Worcester Co., Massachusetts. 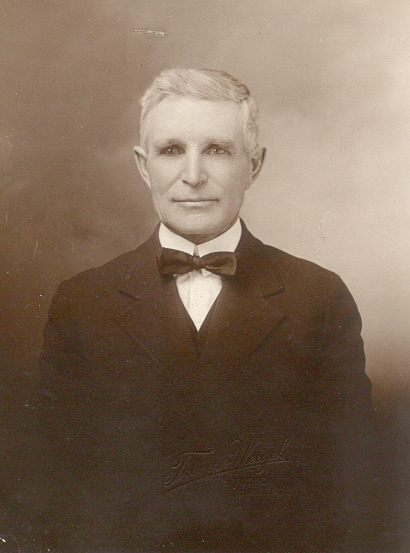 After Annis' death, Walton remarried and moved west with his family into Wisconsin. Annis' sons moved on to Minnesota, where they homesteaded with her brother, Loren Bixby. 6 Eliza Bixby was born on October 9, 1812 in Guilford, Windham Co., Vermont 1. She died on April 16, 1895 in Northfield, Franklin Co., Massachusetts 37,38. She is buried in the Guilford Center Cemetery, Guilford, Windham Co., Vermont. Eliza appears to have remained rather poor after the death of her husband. In 1880, she was living in Wardsboro, Vermont working as a servant. Her son Francis went out west to Minnesota, probably in the example of his uncles and cousins. 7 Cleveland Richards Bixby was born on October 6, 1814 in Guilford, Windham Co., Vermont 1. He died on December 10 38 or 16 1, 1862 in Brattleboro, Windham Co., Vermont. He is buried in the Guilford Center Cemetery, Guilford, Windham Co., Vermont. Cleveland was a farmer and stone mason. After Cleveland's death, Fanny married Silas Halsey Lindley in 1864. 8 Infant Bixby was born and died on June 16, 1816 in Guilford, Windham Co., Vermont 1. 9 Samuel Hubbard Bixby was born on September 27, 1817 in Guilford, Windham Co., Vermont 1. He died on January 27, 1902 in Guilford, Windham Co., Vermont 36. It appears that Samuel took over the land or home of his parents after their deaths. He was listed in an 1884 Guilford directory as a farmer with 40 acres on Road 6, with West Brattleboro as a post office. In 1860 and 1870, their post office was at Guilford Center. 11 Loren Chandler Bixby was born on January 20, 1823 in Guilford, Windham Co., Vermont 1,30. He died in 1903 1,30 in 1904 6 or on February 16, 1904 48 in Garden City, Blue Earth Co., Minnesota. He is buried in the Garden City Cemetery, Garden City, Blue Earth Co., Minnesota. Loren was never married or had any children. He probably left his family and moved out west during the 1840s. He was not been located in the 1850 census. In 1860, he was living in La Salle Co., Illinois and in 1870 he was living in Benton Co., Iowa. He then moved to Brown Co., Minnesota during the late 1870s. He moved a final time to Garden City, Minnesota in about 1887 to live with his brother Henry. 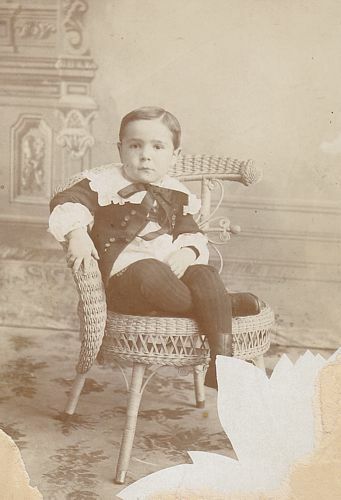 After Henry's death in 1891, he lived with Henry's son Alvin in Garden City. Henry Albert Bixby was born on September 24, 1819 in Guilford, Windham County, Vermont 1,40. He died on May 20, 1891 in Garden City, Blue Earth Co., Minnesota 6. He is buried in the Garden City Cemetery, Garden City, Blue Earth Co., Minnesota. Henry was raised in the town of Guilford, Vermont where he was still living as late as 1840. In about 1837, Henry's brother-in-law Walton Dickerson moved out west to Wisconsin and Henry eventually became inspired to do the same. Henry moved to Wisconsin sometime during the mid-1840s. He apparently settled in Rosedale Township in Fond Du Lac County, Wisconsin. There, he was listed as a settler of 1844-1845. In 1846, he was elected as one of the township's first assessors. In 1848, he was issued a land patent for 40 acres of land at what is now the village of West Rosedale. He did not remain there long and moved to nearby Nepeuskun Township in Winnebago County, Wisconsin, where his brother-in-law Walton Dickerson was then living. There, he married Mary Palfrey on March 30, 1848. They were apparently the first white couple married in that county. They first lived in Nepeuskun Township, but sometime between 1850 and 1858, they moved to Rushford Township and lived near the village of Waukau. 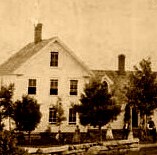 In the summer of 1866, the Bixby family moved out west. This time they settled on a 160-acre farm near the village of Garden City, in Blue Earth County, Minnesota. The land was about two miles northeast of the village of Garden City, in Garden City Township. Here, they kept a farm where they cultivated wheat, corn and oats and also many sheep. 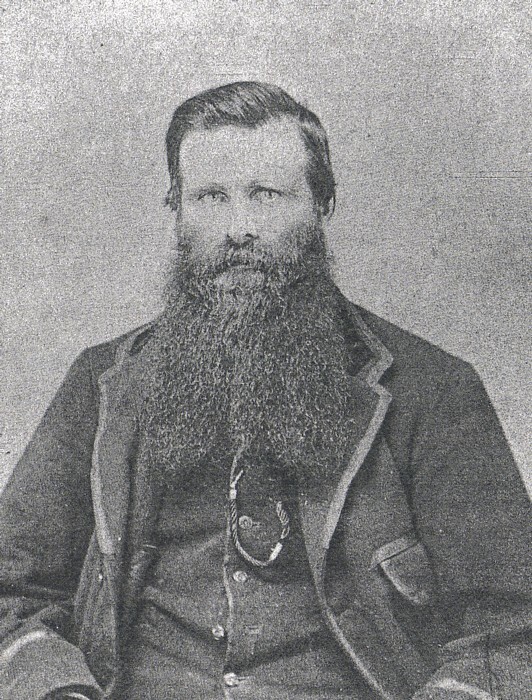 In 1879, Henry was described as a farmer and stock raiser. In 1884, Henry was an assessor for Garden City Township. Henry married Mary Palfrey on March 30, 1848 in Rushford Twp., Winnebago Co., Wisconsin 7. 1 Alvin E. Bixby was born on February 15, 1848 6,43 or 1849 42 in Winnebago Co., Wisconsin. He died on January 21, 1914 in Garden City, Blue Earth Co., Minnesota 6. He is buried in the Garden City Cemetery, Garden City, Blue Earth Co., Minnesota. Alvin was married very shortly after he moved with his family from Wisconsin to Minnesota. Alvin spent the remainder of his life farming near Garden City, Minnesota. He eventually took over the family farm, which was about two miles northeast of the village of Garden City. There, Alvin grew produce and also raised stock. At some point he also ran a dairy on his farm, and he was a secretary of the Garden City Butter and Cheese Company. 2 Frank Herbert Bixby was born circa 1850-1852 in Rushford Twp., Winnebago Co., Wisconsin 8. He died after 1889, probably in Colorado. He married Mary F. Powers on March 11, 1882 in Denver, Arapahoe (now Denver) Co., Colorado 34. She was born on September 6, 1861 in Massachusetts 50 and died on October 31, 1949 in Los Angeles Co., California 50. As a child he apparently used the name Herbert, but used the name Frank as an adult. In 1875, Frank was with his family in Garden City, Minnesota, but has not been found in the 1880 census. In 1882, Frank married in Denver, Colorado. Then in 1885, he was living with his family in Como, Colorado. Newspaper articles still find him active in the Como area through 1889. In February 1896, someone named E.F. Wing of Denver advertized in the local paper that they were trying to locate a Frank Bixby. Could he have died somewhere? Could he have deserted his family? Could he have assumed a new identity? He must have died, or his wife divorced him, because she remarried to George Woodworth in about 1904. She and her husband moved frequently, and lived in Portland, Oregon; Chicago, Illinois; and Los Angeles, California. 3 Augustine W. Bixby was born on March 19, 1852 49 in Winnebago Co., Wisconsin. He died on September 18, 1923 in Salem, Marion Co., Oregon 10,49. He is buried in the City View Cemetery, Salem, Marion Co., Oregon. His name was listed in contemporary records as both Augustine and Augustus. To his family and friends, he apparently went by "Gust" or "Gus". He was a farmer in the vicinity of Garden City, Minnesota. In 1909 or 1910, shortly after his wife died, he moved to Oregon with his two youngest daughters and his brother Henry and family. In Oregon, they lived in rural Marion County and were fruit farmers. Eventually, all of his family moved away from the Salem area and he probably spent his last years living alone. Deb Hoheisel at dizzylu627@yahoo.com is a researcher/descendant of this line. 4 John C. Bixby was born April 16, 1855 in Rushford Twp., Winnebago Co., Wisconsin 6. He died on June 5, 1927 in Garden City, Blue Earth Co., Minnesota 6,11. He is buried in the Garden City Cemetery, Garden City, Blue Earth Co., Minnesota. Like his father and all of his brothers, John was a farmer. He spent most of his adulthood farming near Garden City, Minnesota. 6 William Hazen Bixby was born circa 1866-1867 in Garden City, Blue Earth Co., Minnesota 8. He died after 1885. William was living in the home of his brother Alvin in 1885, and afterwards dissappears from any known records. Since there is no further record of him in Blue Earth County, Minnesota and he is not buried with the family in Garden City, it is assumed he moved elsewhere. He probably died prior to 1900, or perhaps assumed another identity. Strangely, the 1909 History of Blue Earth County and Biographies of its Leading Citizens, indicates that he was then alive and a resident of Garden City, Minnesota. This is not corroborated by any other records and must be an error. Henry Ward Bixby was born on July 17, 1858 near Waukau in Rushford Township, Winnebago County, Wisconsin 12,14. He died on November 20, 1941 in Beaverton, Washington Co., Oregon 12. He is buried in the Crescent Grove Cemetery, Tigard, Washington County, Oregon. Henry was probably named after Henry Ward, a Revolutionary War hero who married a distant cousin named Priscilla Bixby. He spent his earliest years living near Waukau, Wisconsin. In 1866, when he was 7 years old, Henry moved with his family to a farm near Garden City, Blue Earth County, Minnesota, where they remained. Henry spent his entire adulthood working as a farmer. He apparently continued living in the family home and working the family farm until his marriage to Julia Thurston in 1884. They had known each other since childhood; they grew up on neighboring farms in Garden City Township. In 1885, Henry and his wife were in a household of their own near his family and they may have even been living on his father's land. Over the next 24 years, they continued living in Garden City Township, although they apparently moved frequently within the township. They appear to have spent time living on the Bixby land and also in a house in the village of Garden City. After the death of his father in 1891, Henry apparently inherited 80 acres of his father's land. Henry and his wife apparently sold this land sometime between 1900 and 1902. They apparently owned a house in the village of Garden City and also purchased a 10-acre parcel just outside the village. Henry always worked as a farmer while living in Minnesota, although it is not known what he farmed during that time period. In 1895, Henry served as an assessor for Garden City Township. Eventually, Henry and his family decided to move away. The reasons for their move are unknown; but the inference is that the family was not very successful in Minnesota. In 1909, Henry's sister-in-law Evelyn Bixby died which may have been an impetus for the family to leave. In 1909 18 or in April 1910 44, Henry and his family left Minnesota with his brother Augustus and two nieces. They settled in that year on a rented farm in Brooks Precinct, just north of the city of Salem, in Marion County, Oregon. For a short time period in the 1910s, they lived in the city of Salem, Oregon. Then sometime during the 1910s, they purchased a small farm in Aumsville Precinct, southeast of Salem. Eventually, all of their children moved to the city of Portland, Oregon and its suburbs. 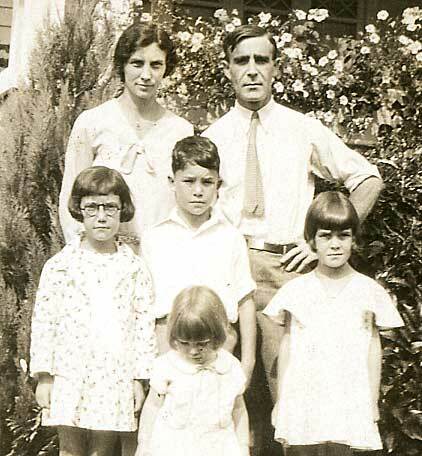 In 1920 or 1921, Henry and Julia moved to Portland. Then, during the early 1920s, they moved to the rural town of Huber, west of Portland. Then, by 1930 they had moved to Wilsonville, a town south of Portland. There, they owned a small house and Henry worked as a truck gardener. 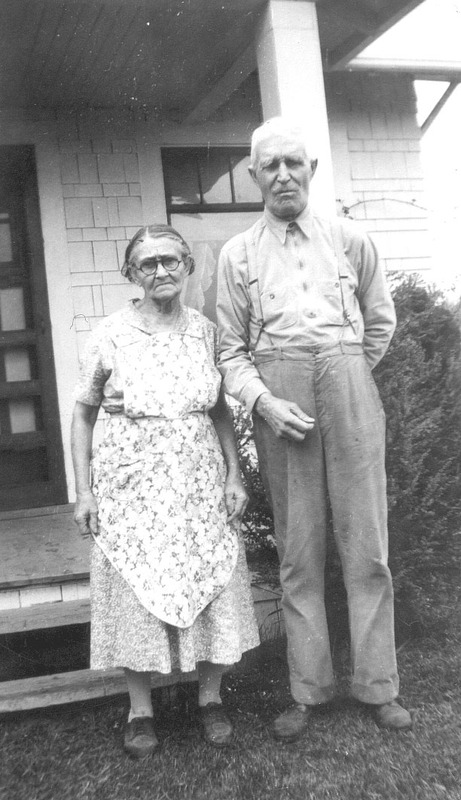 Henry and Julia were negatively affected by the Great Depression and in about 1931, they lost their home. In about 1931, they moved to Portland, Oregon, where they began renting a home at 4609 NE 109th Avenue. In the early fall of 1941, Henry became ill and went to live with his son Vere in Beaverton, Washington County, Oregon. He died there on November 22, 1941, at the age of 83. His widow Julia remained in the area for a few more years until her death on September 3, 1946 in a rest home in Portland, Oregon. Henry married Julia Marvin Thurston on November 13, 1884 in Garden City, Blue Earth Co., Minnesota 44. 1 Harry Vere Bixby was born on September 2, 1885 in Garden City, Blue Earth Co., Minnesota 14. He died on January 26, 1958 in Portland, Multnomah Co., Oregon 10. He is buried in the Crescent Grove Cemetery, Tigard, Washington Co., Oregon. He usually went by his middle name, Vere. As a young man, Vere moved by himself out to Oregon. In 1905, he was living in Salem, Oregon in the house of his step-grandmother Mary Thurston. He returned to Minnesota by 1907, when he married Laura Tressler. 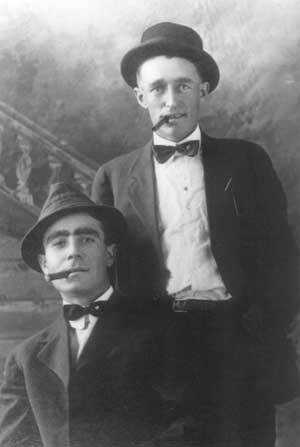 Vere and Laura then moved to Marion County, Oregon with his family in 1909 or 1910. They remained there for a few years and in 1913 or 1914, returned to Minnesota. In Minnesota they first in Garden City Township and then in Rapidan Township, in Blue Earth County. In about 1921, they returned again to Oregon and settled near Beaverton, where Vere's family was then living. In his youth, Vere worked as a railroad conductor, a clerk, and a farmer. He later worked as a marshall/policeman for the city of Beaverton. They also ran a boarding house and a restaurant in Beaverton. Vere also worked as a construction foreman for the State Highway Department. 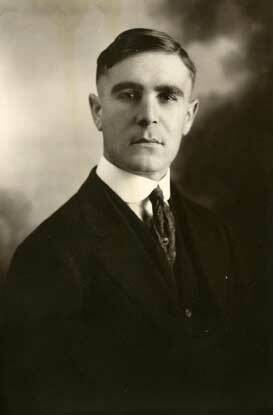 2 Irvin Henry Bixby was born on November 30, 1886 in Garden City, Blue Earth Co., Minnesota 14,15. He died on August 29, 1947 in Salem, Marion Co., Oregon 15,17. He is buried in the Crescent Grove Cemetery, Tigard, Washington Co., Oregon. As a young adult, Irvin worked as a ranch hand, a barber, a store clerk, a railroad clerk and railroad operator. Then in about 1920, he began working as an accountant for the US Engineer's Office, where he was employed for about 20 years. Throughout their marriage, Mabel also worked, first as a drug store clerk and then as a waitress. 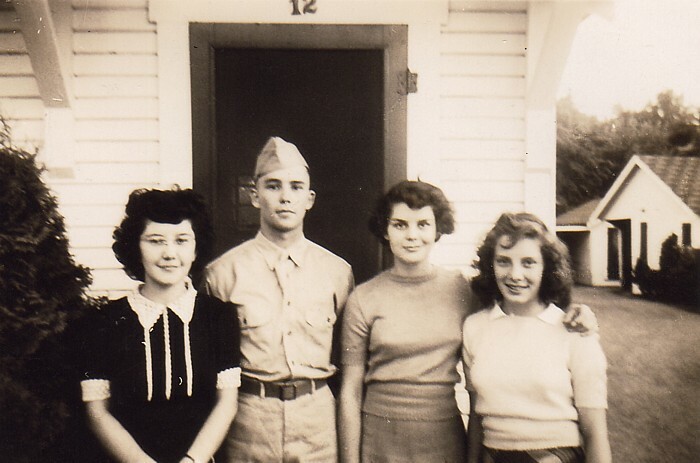 As a young adult, Irvin lived with his parents in Garden City, Minnesota. In the summer of 1906, he lived briefly in Hanley, Canada. Irvin moved with his family to Marion County, Oregon in 1909 or 1910 - although he may have briefly moved back to Minnesota in 1910. In 1911, Irvin moved to St. Regis, Montana, where he played on the local baseball team. While living there, he met Mabel Malone and they married in 1912. They continued living in St. Regis, Montana until 1917. In 1917, they had moved to Oregon and were living near his parents in rural Marion County, Oregon. They then moved to Portland, Oregon in about 1920. They remained in Portland until about 1937, when they moved to Empire City (now Coos Bay), Oregon. Irvin suffered for about 10 years from tuberculosis, and spent the last 8 years of his life at the Oregon State Hospital in Salem, Oregon. After his death, his widow moved to Missoula, Montana to live near her relatives. 3 Mary Bixby was born on September 19, 1888 in Garden City, Blue Earth Co., Minnesota 14,16. She died on September 1, 1969 in Beaverton, Washington Co., Oregon 10. She is buried in the Crescent Grove Cemetery, Tigard, Washington Co., Oregon. Mary and her husband remained behind in Minnesota when most of her family moved to Oregon in 1909 or 1910. In Minnesota, they lived in Rapidan Township, Blue Earth County. 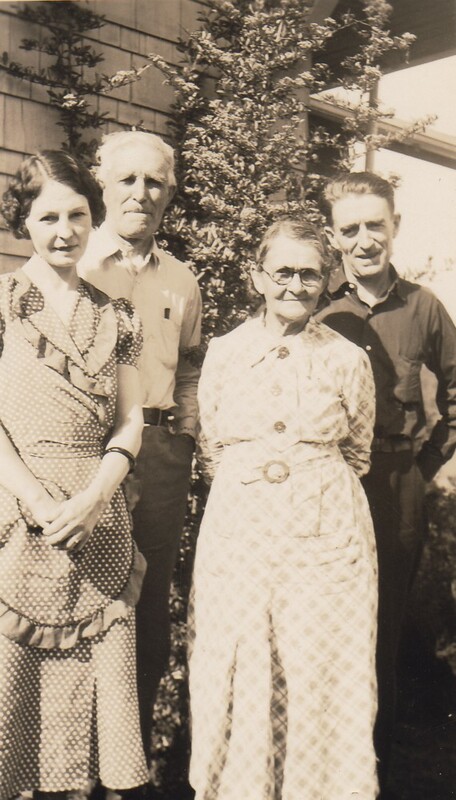 In about 1927, they moved to Oregon where they settled at Beaverton in Washington County. Amel Nelson was a farmer and later worked as a school janitor in Beaverton. 5 Laurence Ward Bixby was born on October 23, 1898 in Garden City, Blue Earth Co., Minnesota 14. He died on August 29, 1963 in Portland, Multnomah Co., Oregon 10,17. He is buried in the Lincoln Memorial Park, Portland, Multnomah Co., Oregon. 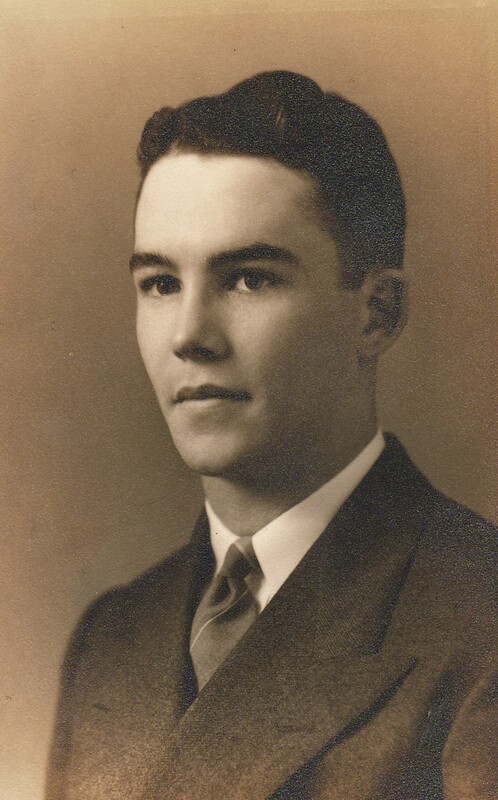 Neil Francis Bixby was born on May 26, 1893 in Garden City, Blue Earth County, Minnesota 14,16. He died on January 9, 1985 in Oregon City, Clackamas Co., Oregon 17,18. He is buried in the Willamette National Cemetery, Portland, Multnomah County, Oregon. Neil spent his early years near the village of Garden City where his parents farmed. In 1909, Neil's aunt Evelyn Bixby died and it was at about that time that Neil's family decided to move away from Minnesota. In 1909 18 or in April 1910 44, 16-year old Neil moved with his parents, brothers, uncle and some cousins out west. They settled on a farm outside of the city of Salem in Marion County, Oregon. In Oregon, the Bixbys were still farmers and also made plans to send Neil to college. In 1914, Neil began attending Corvallis College (now Oregon State University) where he graduated with a degree in engineering. After graduating from college, Neil entered the army and served in World War I overseas. 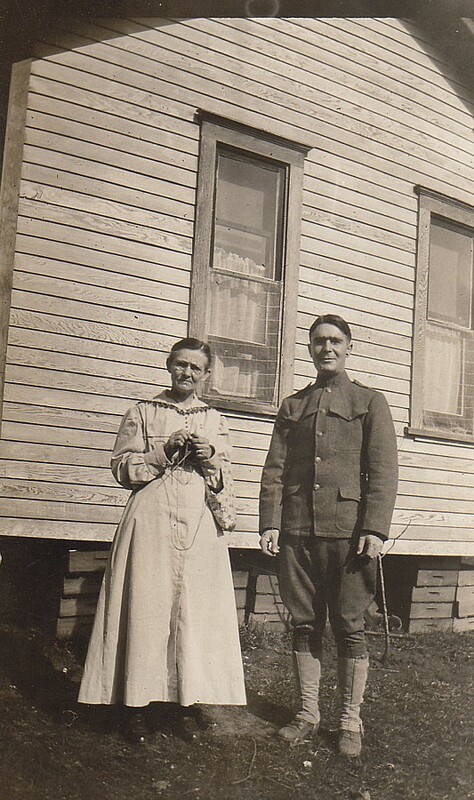 After his service in the army ended in about 1919, Neil returned to Minnesota where his brother Vere and sister Mary were still living. While living there, he formed a relationship with a young woman named Bertha Hoffman. The two were engaged and in the early months of 1920, they moved to Oregon where they would get married and start a family together. They were married on April 19, 1920 in Vancouver, Washington. Afterwards, Neil began working for the Army Corps of Engineers as an Engineer and remained in faithful service for them over the next 30 years, where he worked in property management. In the first five years of marriage, Neil and Bertha lived in a rented home in Portland also with family in rural Beaverton. Then, in about 1925 they purchased a house in the Parkrose neighborhood of Portland, where they remained for about twenty years. Then in about 1945, they purchased a different home in Portland. Finally, in 1950 they sold their home and moved to the city of Milwaukie, a suburb of Portland, where they remained. In 1952, Neil retired from the Army Corps of Engineers and afterwards devoted his time to his love of gardening and horticulture. At some point Neil owned a nursery business where he grew azaleas and rhodedendruns. Neil lived in Milwaukie for the remainder of his life. He died on January 9, 1985 in a hospital in Oregon City at the age of 91. 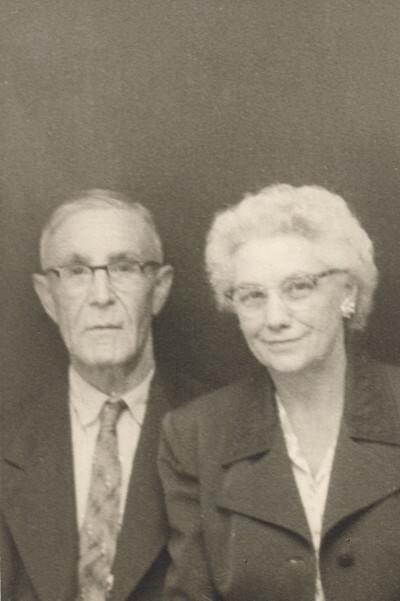 Neil married Bertha Mary Hoffman on April 19, 1920 in Vancouver, Clark Co., Washington 17. 1 Deane Francis Bixby was born on January 29, 1921 in Portland, Multnomah Co., Oregon 17. He died on December 4, 1944 in Germany 17. He is buried in the Henri-Chapelle American Cemetery, Henri-Chapelle, Belgium. 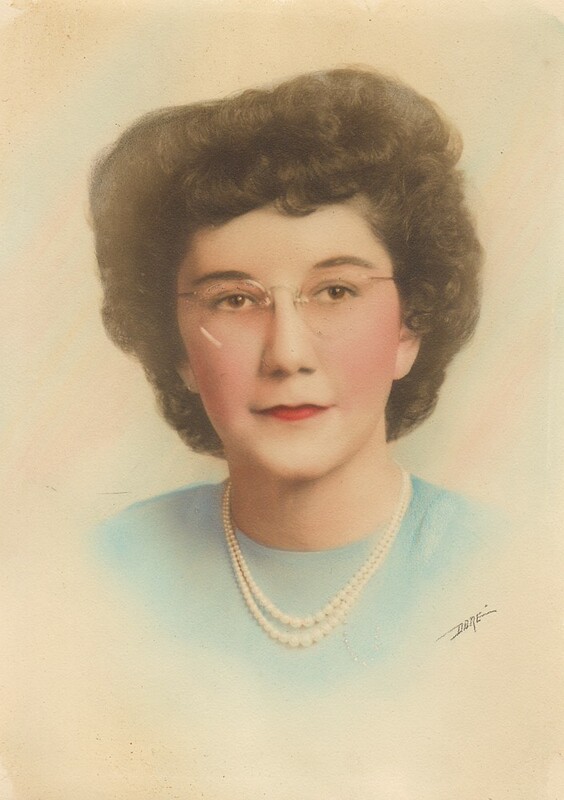 2 Shirley Jean Bixby was born on October 12, 1922 in Huber, Washington Co., Oregon 17. She died on June 25, 1997 in Portland, Multnomah Co., Oregon 16. Her remains are interred at the Willamette National Cemetery, Portland, Multnomah Co., Oregon. She married Antonio Joseph Glokner. He was born on May 31, 1924 in Jersey City, Jersey Co., New Jersey and died on October 19, 2008 in Portland, Multnomah Co., Oregon. He is buried in the Willamette National Cemetery, Portland, Multnomah Co., Oregon. 3 Evelyn Christine Bixby was born on February 25, 1924 in Portland, Multnomah Co., Oregon 17. She died on July 30, 1986 in Lincoln City, Lincoln Co., Oregon 17. Her ashes were scatterd at sea. Patricia Joy Bixby was born on March 12, 1928 in Portland, Multnomah Co., Oregon. She died on April 27, 2008 in Auburn, King Co., Washington. Her remains are interred in the Evergreen-Washelli Cemetery, Seattle, King Co., Washington. 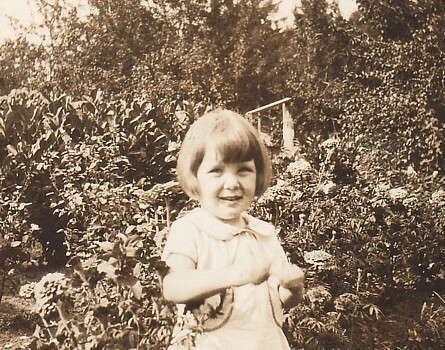 Patricia was raised in Portland, Oregon where her family lived in the Park Rose neighborhood. 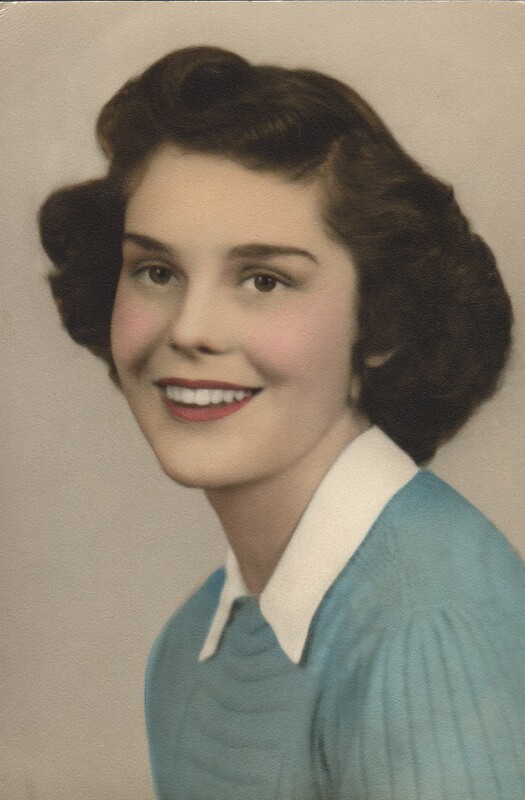 She was called "Patsy" by her family and childhood friends but went by "Pat" in adulthood. She attended Park Rose School and then Grant High School in Portland, Oregon, where she graduated in 1946. Patricia had plans of attending Oregon State University (where her father and brother had gone), yet decided on other pursuits. 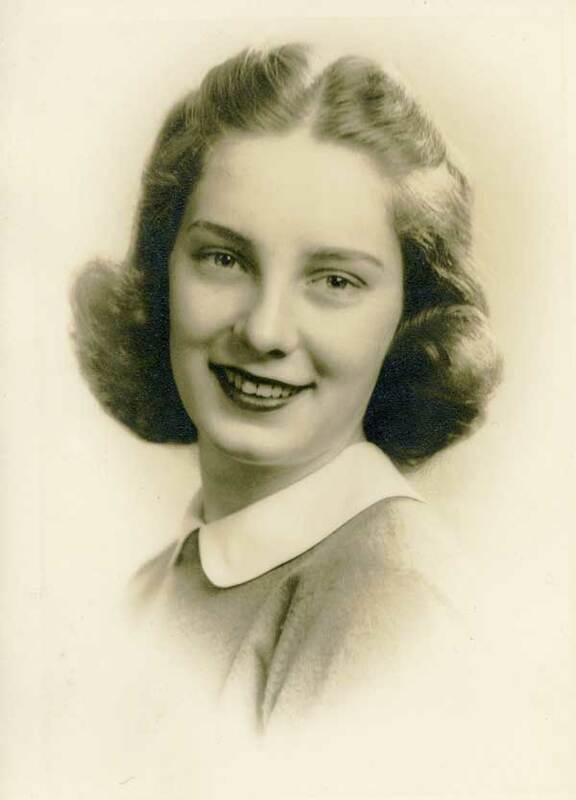 She began working as a secretary for the Army Corps of Engineers in Portland in 1946. She worked there until 1948, when she and Ben Plymale were married. They honeymooned in San Francisco and moved to Seattle, Washington immediately afterward. After moving to Seattle, Patricia worked as a secretary for the Sandpoint Naval Air Station on Lake Washington in Seattle. She stopped working in November 1949, while pregnant with her first child. In Seattle, they first lived in the Phinney Ridge neighborhood and then the Rainier Beach neighborhood. 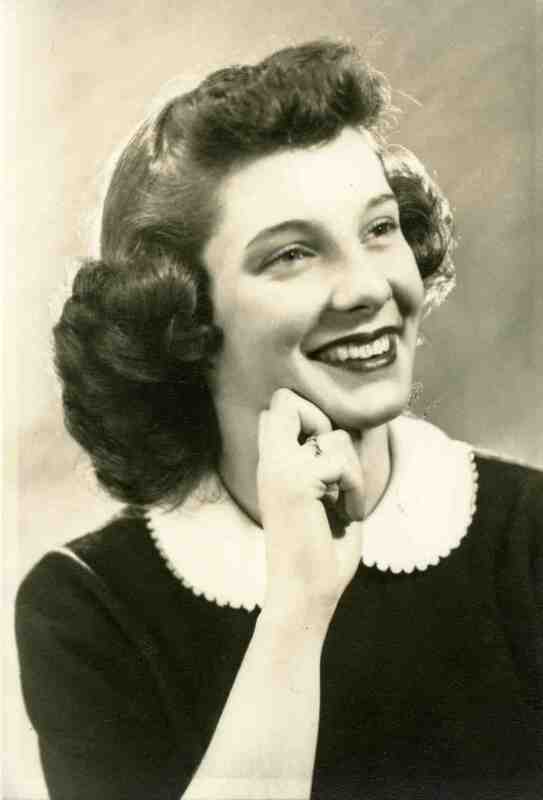 Meanwhile her husband Ben, who was fulfilling his military service and was attending graduate school at the University of Washington, quit going to school to accept a job offer as an engineer at the Boeing Company in 1950. Patricia and her family purchased a house in the Mt. Baker neighborhood of Seattle in 1953 and remained there. After her children were born she became active in the PTA and also worked in the school library at times. In 1959, Ben and Patricia had a vacation home built near Port Angeles on the Strait of Juan De Fuca. Patricia spent most of her summers at this cabin with he children. In 1968, Ben and Patricia were divorced. In the same year, Patricia took a course on secretarial skills and got a position working as a secretary for the State of Washington in the Department of Vocational Rehabilitation. She remained working there for 20 years until her retirement in 1988. In 1983, she had sold her house in Mt. Baker and moved into a condo on Lake Washington in the Madison Park neighborhood of Seattle. In 2001, Patricia moved to Kent, Washington to be closer to her daughters. In 2005, she moved a final time to Auburn, Washington. She married Ben Telfer Plymale on June 5, 1948 in Portland, Oregon. For information on their children see his page. 1. Bixby, Willard G. A Genealogy of the Descendants of Joseph Bixby, 1621-1701, of Ipswich and Boxford, Massachusetts. Willard G. Bixby, New York City, 1914 (reprinted by Higginsson Book Company, Salem, MA). 2. Vital Records of Andover, Massachusetts to 1850. Topsfield Historical Society: Topsfield, MA, 1912. 3. Vital records of the town of Boylston, Massachusetts to the end of the year 1850. Franklin P. Rice: Worcester, MA, 1900. 4. Vital records of the town of Shrewsbury, Massachusetts, to the end of the year 1849. Franklin P. Rice: Worcester, MA: 1904. 5. Early Massachusetts Marriages Prior to 1800. Ancestry.com. 7. Marriage records of Winnebago Co., Wisconsin. 24. Online cemetery index, Old Burial Ground, Boylston, MA. (http://www.boylstonhistory.org/burial.htm). 26. Online cemetery index, Bixby Cemetery, Bainbridge, NY. (http://www.rootsweb.com/~nychenan/bixbycem.htm). 27. Vital records of Templeton, Massachusetts, to the end of the year 1849. Franklin P. Rice, Worcester, MA, 1907. 28. Vital records of Winchendon, Massachusetts, to the end of the year 1849. Franklin P. Rice, Worcester, MA, 1909. 29. Online cemetery index, Five Corners Cemetery, Plymouth, VT. http://www.rootsweb.com/%7Evtcplymo/FiveCornersCemetery.htm. 30. Dickerson, Wilton Harry Sr. Dickerson Family History, Edward E. & Albert Bixby Dickerson, Their Ancestors and Their Descendants, 1636-1996. Gateway Press, Inc., Baltimore, MD, 1998. 31. Vital Records of Sturbridge, Massachusetts, to the year 1850. New England Historic Genealogical Society, Boston, 1906. 32. Vital Records of Woburn, Massachusetts, to the end of the year 1873. Tan Book, 1890. 33. Daughters of the American Revolution Magazine. 1937, R. R. Bowker Co.
42. Hughes, Thomas. History of Blue Earth County. Middle West Publishing Co., Chicago, 1909. 47. Tombstone inscriptions, Superior Cemetery, Superior, MT. 48. Online obituary index, Minnesota State University, Mankato Archives. http://lib.mnsu.edu/obituary/. 49. Death certificate of Augustine W. Bixby, 1923, Marion Co., OR, #629. Oregon State Archives. 50. California Statewide Death Index, 1940-1997. 53. Wellman, Joshua W. Descendants of Thomas Wellman of Lynn, Massachusetts. Boston, MA; Arthur Holbrook Wellman, 1918.